Making a Hillbrook education accessible to families from diverse economic backgrounds. At Hillbrook, every family pays tuition to their capacity. Every family’s tuition is flexible to some degree. Flexible Tuition at Hillbrook is one key way we strengthen our community by making the whole Hillbrook experience accessible to families from diverse economic backgrounds. We know that diversity strengthens the educational experience for each of our students. This philosophy has been a part of our school’s culture since 1935, when all of our first students came together from a variety of circumstances and backgrounds to live, learn, and thrive together at Hillbrook. Hillbrook remains committed to making an independent school education accessible for children and families that connect with our mission and vision. We want each family to feel a full sense of ownership of their experience at Hillbrook. We also acknowledge that the cost of an independent school experience goes beyond tuition. That is why we are committed to fostering an inclusive culture that reflects the joy and community that makes Hillbrook an extraordinary place to learn and grow. 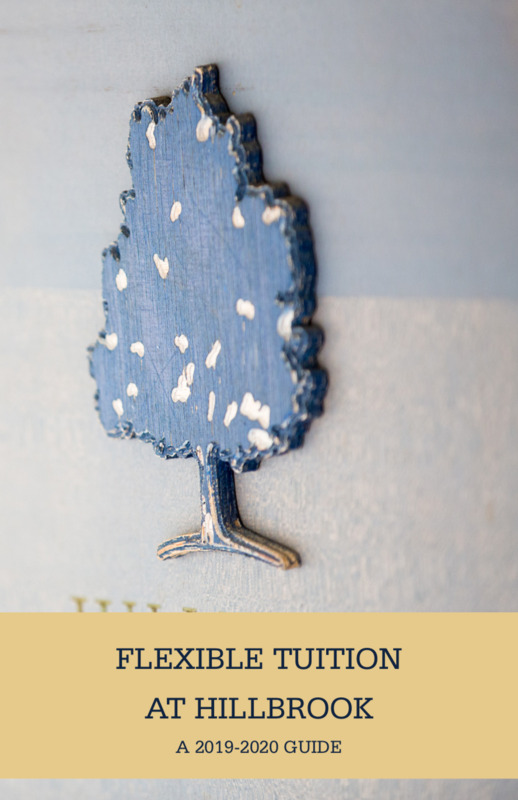 What is Flexible Tuition at Hillbrook? Flexible Tuition at a rate that differs from the highest tuition rate is offered to a family based on individual need. Nearly 25% percent of families pay a tuition rate that differs from the highest rate of tuition. The highest tuition rate for the 2019-20 school year is $35,500, while the actual cost of educating a Hillbrook student is approximately $39,000 per year. students opportunities to participate in class trips, including international service learning and cultural experiences. Eligibility for admission to Hillbrook is determined entirely independent of an application for Hillbrook's Flexible Tuition Program. Apply for the Flexible Tuition Program!